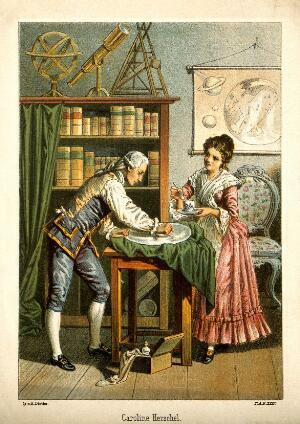 Sir William Herschel and Caroline Herschel. Colour lithograph by A. Diethe, ca. 1896.